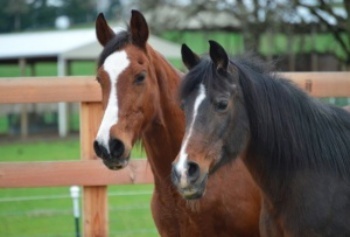 Help Feed and Care for Rescue Horses! Captain and Anna were abused and starving before being rescued by the Duchess Sanctuary, where staff and volunteers poured their hearts into rehabilitating them. Their suffering is now over. These two beautiful horses are on the road to recovery… shiny, happy & healthy, but there are many more that need rescuing and urgent care. Please help! $10 provides food, medicine, and care for one recovering horse for one day!